When you are practicing your violin, a pencil can be your greatest ally. During your lessons it is a good idea to take notes about what your teacher wants you to do. 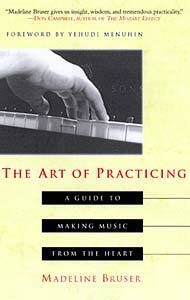 If you have written music that you use during the lesson, go right ahead and use it as your notepad as well. There is nothing better than having the notes your teacher gives you right there on the music so that you see it every time you play the piece. If you do not use written music, it is a good idea to have a notebook and paper with you during your lesson so that you can write down exactly what the teacher says. It may mean that you actually use the teacher's words. It may be that you have some sort of system to indicate what needs to be done between lessons. No matter what, you need to be sure that you are working in a way that will give you the best possible progress. In the same vein, it is important to have some way of recording what you do for practice, what successes you have and what problems occur so that you can tell the teacher how the week went! I don't know about you, but I don't seem to remember the mistakes I make three days after they occur. Writing things down lets me remember and therefore helps me play better!